Hope you survived April Fool's Day! 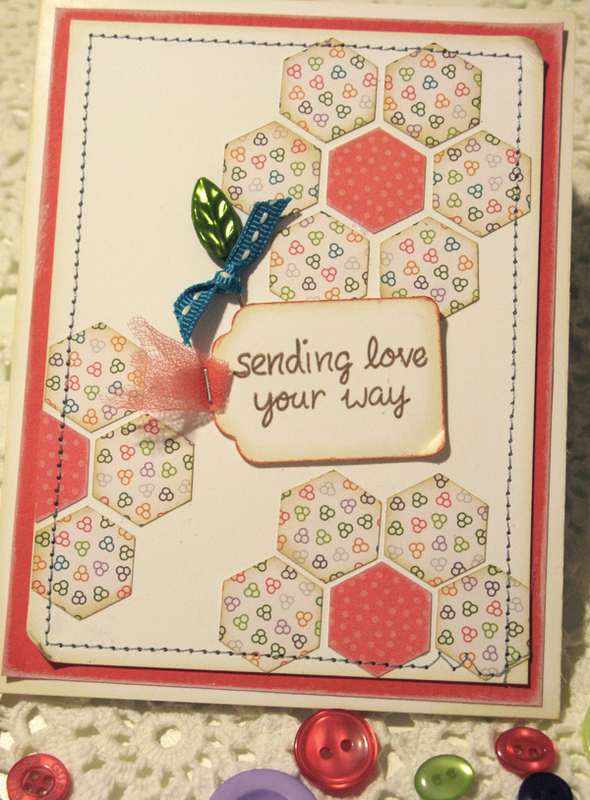 My card today is a good example of how to use up your scraps. You know how much you treasure your fun patterned paper and save every scrap because you *might* use it later...well "later" is now! I love 6 x 6 pads of patterned paper because I'm a die-hard card maker and feel like this size paper doesn't create a plethora of scraps. However, inevitably, there are nice bits and pieces I slip back into the deck for later. 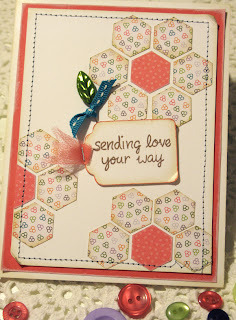 Credit for this card layout actually goes to my friend Wanda Guess, whose new favorite shape is the hexagon. I can't say I'm a polygon fan, but I do recognize the old fashioned possibility this shape provides...perfect for piecing a paper quilt using scraps of patterned paper. Boy, that's a mouthful! 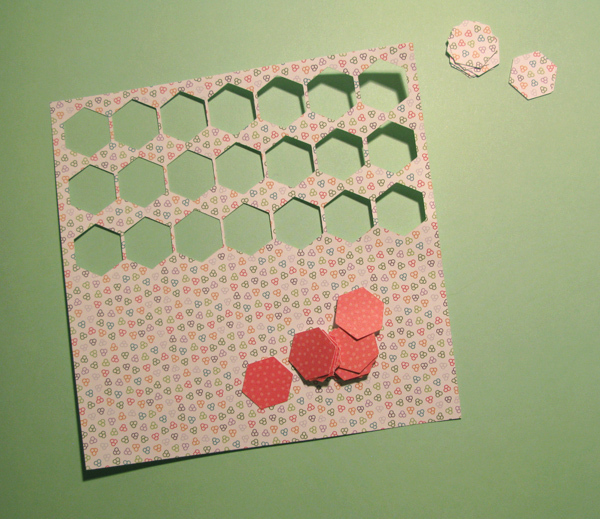 To cut the tiny hexagons (they're about 3/4") I used my Cameo electronic die cutting machine and the Silhouette Studio software to cut about 20 hexagons from a 3" x 6" piece of paper. I used two different patterns to create the quilt-like flower shapes. And what an easy job it is to cut all those little shapes in about 30 seconds flat! Almost everything used to make this card is from the NEW "A Walk on the Bright Side" kit, April's Fresh Baked Kit from Paper Made Bakery available today! The sepia tone to the photo belies the fact that the pretty fresh white card base is made with Cut Card Stock's Curious Metallic in cryogen white. The quilt is the perfect way to put your scraps to good use!